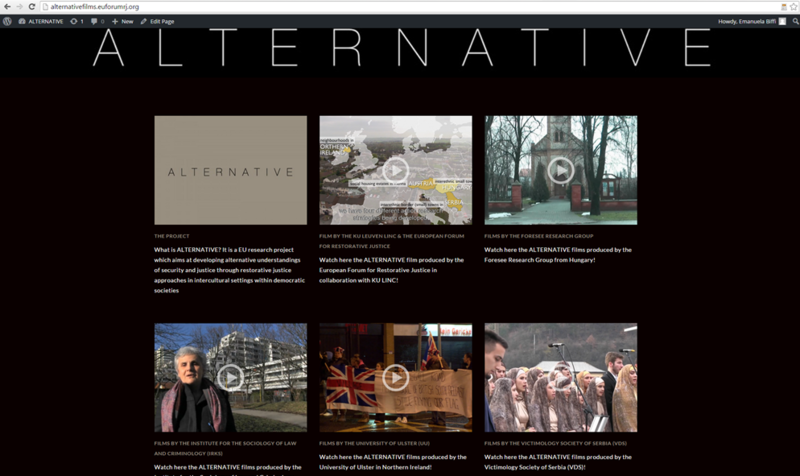 In the blog ALTERNATIVE Personal you can read interviews, opinions, experiences of the project from a more subjective point of view! • Participatory filming has been used for discovering and understanding the realities studied in each of the four research sites, but also for engaging with local community members in the realisation of the local films. In the ALTERNATIVE project, whenever possible participants in the action research and researchers both did the filming and the researcher(s) edited the footage in collaboration and dialogue with the participants. When participants did the filming, images better reflected their reality and this was of great value for researchers. • Films serve for disseminating the findings of the ALTERNATIVE research project. They present what this project is about and how it has been implemented in practice to address local problems through restorative interventions. The films can be used during conferences, presentations, workshops and trainings, either at the national or European level. • During the ALTERNATIVE project, filming was used as a ‘mirror’ of the existing tensions in the local communities and it became a ‘restorative tool’ to stimulate dialogue among community members. In this way, films became instruments for social change in the local communities researched. Most films have been created by the researchers working in the field, and not by professional filmmakers. Researchers attended two trainings at the KU Leuven Institute of Media and Learning (LIMEL) to learn the basic skills for filming, editing, directing and producing their local films. • contact details and films to ‘get to know the teams’. 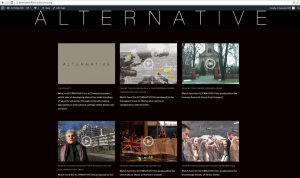 Short video presenting the members of the ALTERNATIVE team working in Leuven.